It was a splendid Sunday afternoon at Ranga Sankara Theater, Banglore. 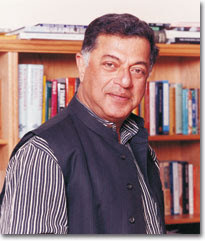 I booked a ticket online, to watch “Bikhre Bim” By Girish Karnad – Shattered Images (Hope it is a correct translation of the name). Staged by Arundhati Nag as a solo actress of the play, she revealed three prime characters at a time. One about Herself, other two of her husband and the her semi paralyzed beautiful young sister. It was a highly serious play, with humorous icing. The story is plotted at a very metamorphic backdrop of TV studio, where she builds up a comic atmosphere, and fillsup up the theater with laughter. As the story developed the vigor, it made the audience sympathetic for the paralytic girl, supportive for the sober husband and don’t know what for the prime character herself. At times she was caring and loving. At times she is jealous, and at time she is utterly evil. She was against the relationship developing between her husband and her beautiful intelligent yet wheel chaired paralytic sister. The story reveals “Distorted Images” of a middle aged woman who is unsuccessful in her life, and for success she claims to be the writer of a best seller English novel, which she had not written but her paralytic sister had, who was dead before it was published. It is only she and her husband know the truth, while whole world believe the famous novel is a creation of her. The story has many things to say and which is difficult to express in this juvenile form of writing. A must watch for all.